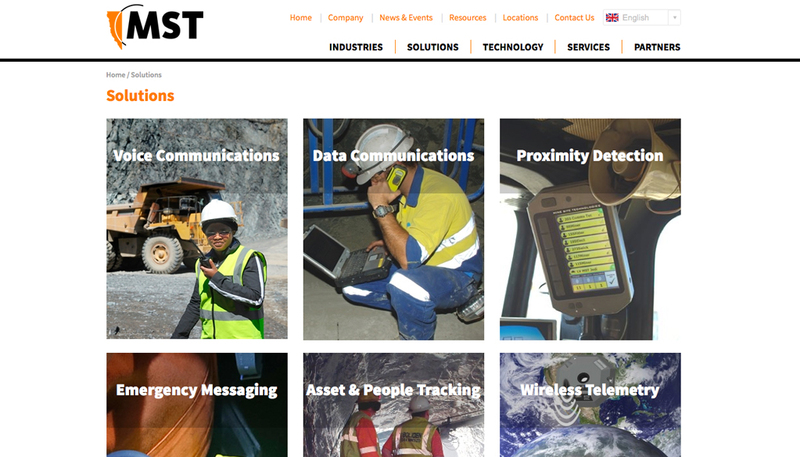 MST Global provide communication and technology solutions in the mining and remote construction arenas. A new vision for the company required a new vision for the website. HMD were brought on board to produce a website that better reflected the company’s image and clearly convey their offerings. 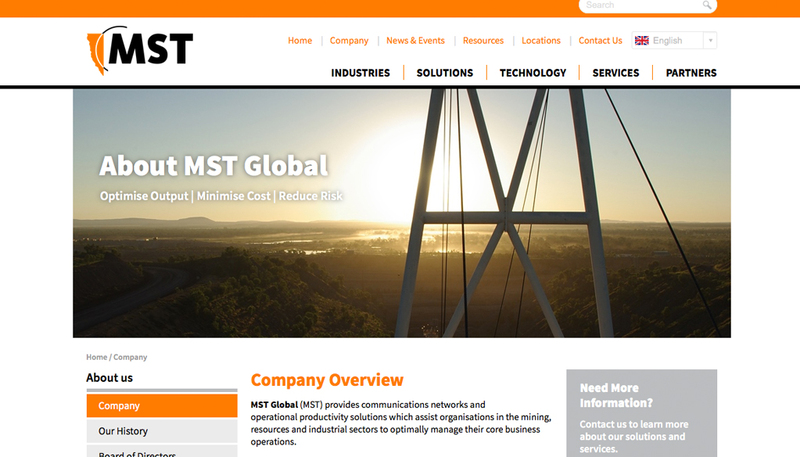 HMD provided a clean and visually appealing website integrated with a content management system to allow the client to edit and manage content. Images are used sparingly but for maximum impact. Content is organised and structured in a concise and effective manner with clear navigation.